My name is Rich Beaupit, Owner and Head Coach of Straight Blast Gym Niagara, home to "S.A.F.E. 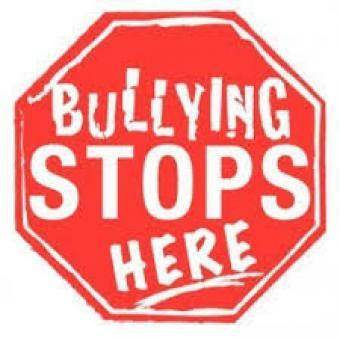 ", the Niagara Region’s Number One Bully Proofing and Life Skills Program for kids. If you want to increase your child’s confidence and self esteem so they are able to handle confrontation responsibly and safely, and have the best opportunity for success in life, then you owe it to yourself and your child to continue reading. YOU need to get your child started NOW. And I have made it so easy for you to do just that with my incredible QUICK START TRIAL OFFER. All you have to do is contact me and I will get your child started on their way to confidently being able to handle themselves. Why bring your child to me? “Mr. Beaupit quickly developed a strong rapport with each class and was able to maintain on-task behavior in even the most challenging students. The core elements of his program are life skills that are transferable to all aspects of students lives. “As a teacher at St.Francis Secondary School I have invited Rich to work with my Phys Ed students for over 5 years. During the regular course evaluation, student’s time and time again identify the week with Rich as their favorite component of the course. Quite simply, with Rich , what you see is what you get. His honesty, enthusiasm, commitment and communication skills are outstanding and never wavering. Finding the right person to teach your child how to protect themselves against bullying is a very big responsibility, and as you can see by the above testimonials, you will find no one in St.Catharines or the Niagara Region better or more qualified to help your child then myself and my program. Give me a call to make YOUR CHILD"S QUICK START TRIAL appointment today!